While we operate independently as financial advisors, Raymond James Financial Services is our broker-dealer and we are able to draw upon the resources of Raymond James. 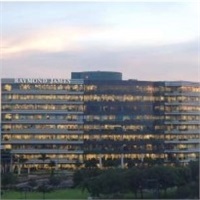 In fact, Raymond James has approximately $790 billion total client assets under management and is completely independent - started by an entrepreneur who wanted to make a difference. We share that with you because we think it's important to recognize we have chosen Raymond James as it is one of the most admired securities companies in the world and we want you to know they have a commitment to invest in the business, to invest in technology, and to hire the best and brightest minds in order to deliver the kinds of solutions you deserve. Furthermore, we chose Raymond James because they work hard to be the premier investment firm and attract a higher caliber of advisors. That dedication results in client satisfaction, award-winning equity research, strong asset management performance, long-term corporate stability and a unique culture focused on the success of advisors and their clients.